Enter a unique name for the connection here. 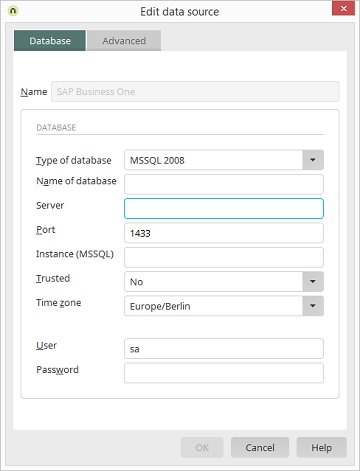 Select the database type used by SAP Business One. Specify the database name here. Enter the Server (IP or name) and Port here. If multiple instances of an MSSQL Server have been installed to the selected server, please specify the desired instance here. If you do not enter anything, the default instance will be used automatically. Select "No" here, if SQL Server Authentication is used or "Yes", if Windows Authentification is used. Enter the login data for a user with sufficient permission. 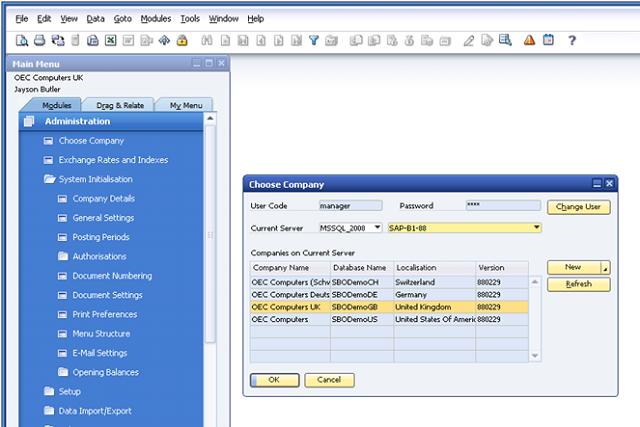 Information about your database can be found within your SBO client.